Founded in 1880 by Joseph A. Roberts, Church, Church, Hittle & Antrim is the oldest and most established law firm in Hamilton County serving clients throughout central Indiana. While times have changed, our commitment to clients and their interests has not. The law office of Church, Church, Hittle & Antrim was built on the belief that the concern of every client is important. This belief has held true from the earliest beginnings of our firm through today. One of the benefits you receive when we represent you is distinctive competence and the way we maintain our traditional values while staying current with contemporary law and technology. We provide each client with honest legal advice at a reasonable price. We ensure that the people we represent get the attention they need to resolve their legal concerns. We do this while continually staying current with changes in the law and society. To stay current, we constantly educate ourselves about new legal developments and strategies. Each of our attorneys possesses unique skills and experiences that make them well-qualified advocates. 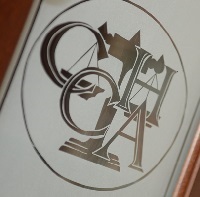 Thanks to the unique contributions of each attorney, CCHA can provide legal services in a variety of practice areas thus potentially meeting all of our clients? legal needs. CCHA has offices in Noblesville, Fishers, and Tipton. Please see our web-site for driving directions to all of our locations.